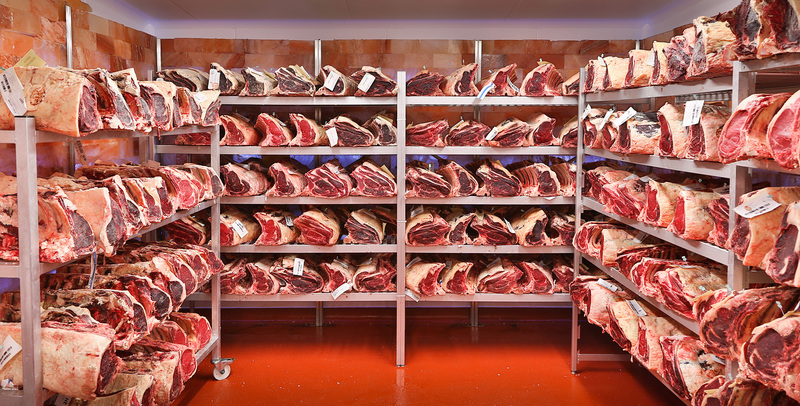 We are delighted to have found a butcher who shares our passion and philosophy about meats. Buxton Butchers have been established since 1990 and supply some of the top commercial establishments in the area. Their beef is aged for a minimum of 5 weeks in a special salt chamber whose walls are lined with bricks of Himalayan salt that impart a sweetness to the meat while also inhibiting bacterial growth. Theirs is one of the few butchers in Europe with this methodology. Buxton Butchers also supply us with our breakfast sausages, poultry and game. They deliver to us next day after we place our order so we require 24 hours notice for evening meals and ideally ask that you give us your menu choice to avoid us selling out of your preferred dish (we will send you the menu upon request). What we don’t grow here we buy locally from other farms, farmers’ markets and grocers. We try to buy seasonal produce with the minimum of ‘miles’ from ground to table.